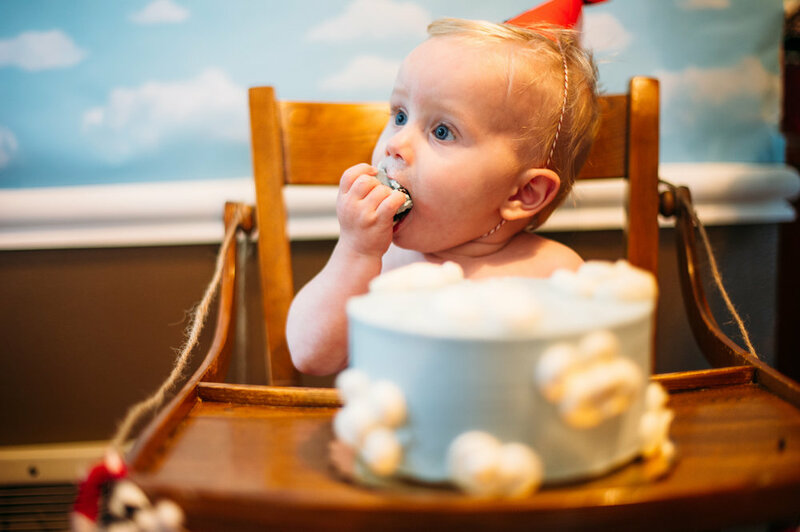 We are all about capturing the sweet moments of life through video and photos, and our son Banyan's first birthday was no exception! 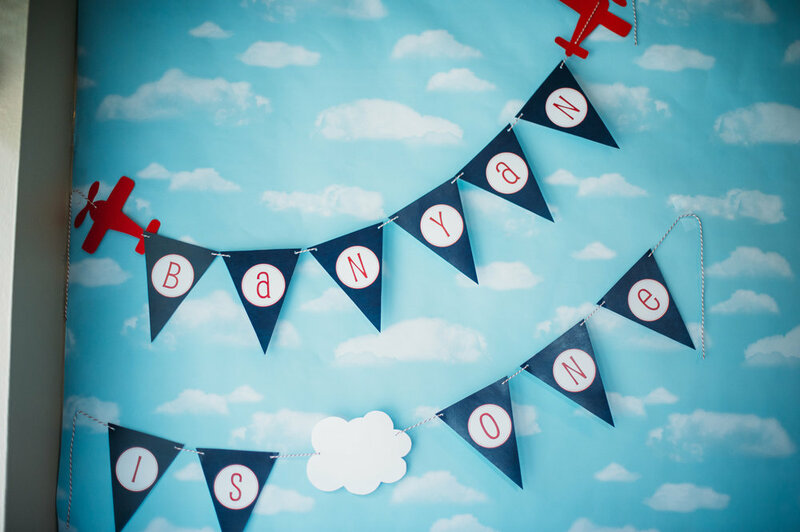 We're surrounded by meticulously planned and extraordinarily beautiful weddings year-round, so when we started planning Banyan's first birthday we knew we wanted a theme that'd be fun to style. 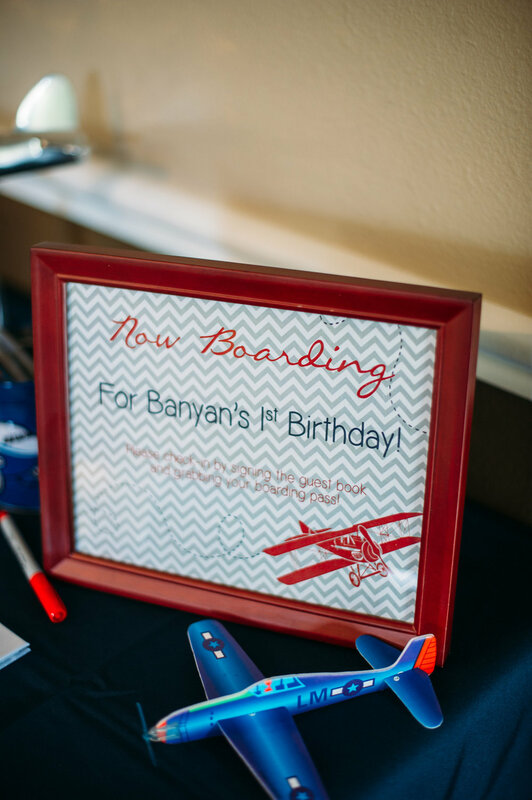 Seeing as Banyan is only one, there's only a few things we can say for sure he loves: his mama & papa, food (any kind, all day long) and airplanes! He can hear planes coming no matter where we are, and he has an uncanny ability to spot and point them out even before we can. As soon as he hears a plane going by, he stops, scans, and points. Then he gets a big grin and bops up and down until we see it too. It's ridiculously cute. 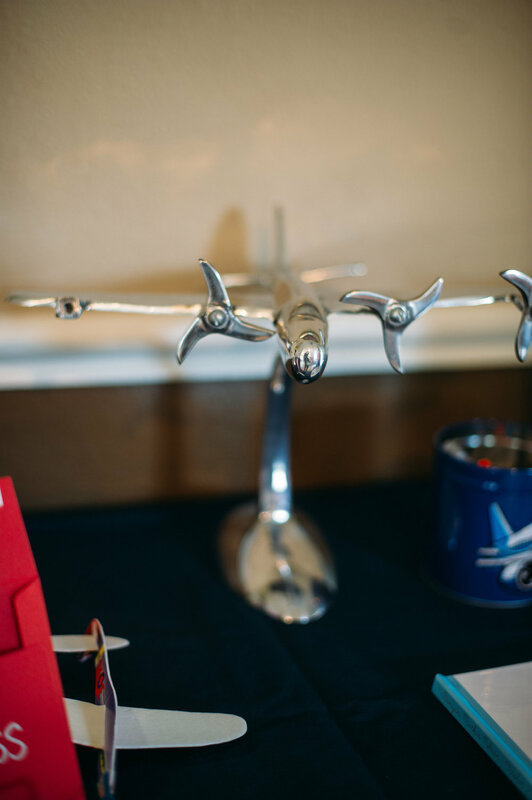 Needless to say, we knew our birthday theme: PLANES! We landed on (haha, pun definitely intended) the motto Time Flies to go with the theme, and had fun commemorating his first year through photos we hung, a scrapbook we put together and a video Jarrett created that highlights Banyan's first year, from his first cry all the way to the laughing, silly, all-over-the-place little man he is today (I'm sure I can persuade him to post the video soon)! 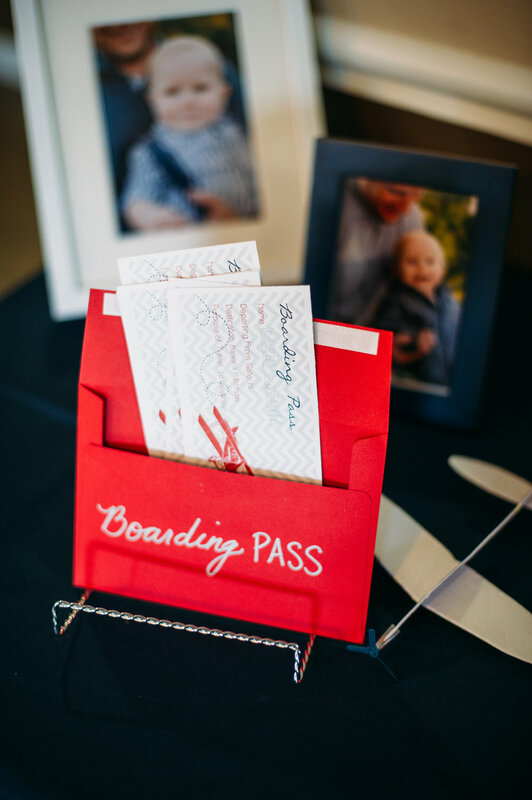 To really hit the airplane theme we had people "Check-In" by signing the guest book and grabbing a personalized boarding pass with the day's itinerary, and we had the kids and parents put together glider planes to use in the "Glider Games." The kids had fun throwing their gliders through a hula hoop, making them land on a bulls-eye and seeing how far they could make it fly. We also asked families to write us words of advice or prayers on a piece of paper, and then fold it into a paper airplane that we had them hang in the "Hangar." Jarrett and I then got to take these home and read them later that night -- so sweet! Of course we had an "In Flight" meal and drinks from the "Beverage Cart," and then Jarrett provided the "In Flight Entertainment" when we all watched the video he created of Banyan's first year. We felt so honored to have our community -- the friends and family who have surrounded us and supported us during this first year -- all gathered together laughing at the photo booth (see below! 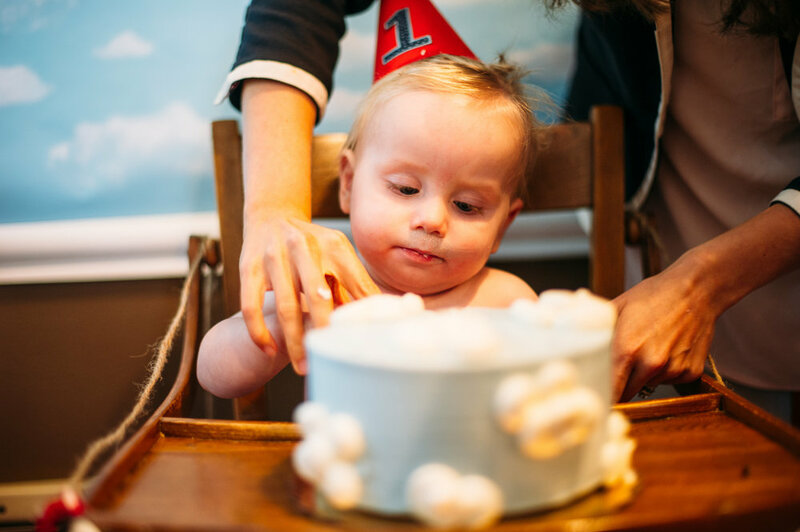 ), sharing a meal, playing with Banyan, and all around celebrating the fact that we not only survived, but thrived during our first year as a family of three. 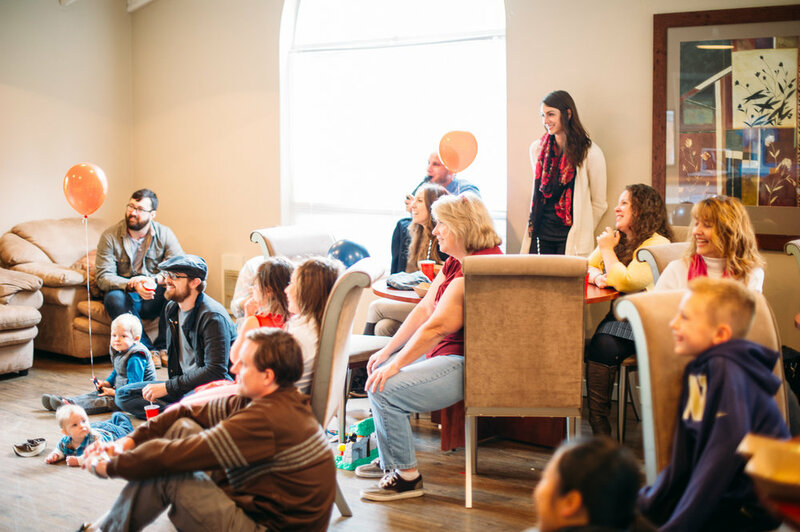 We no doubt thrived because of the love of the people in that room (and so many others who couldn't be there)! 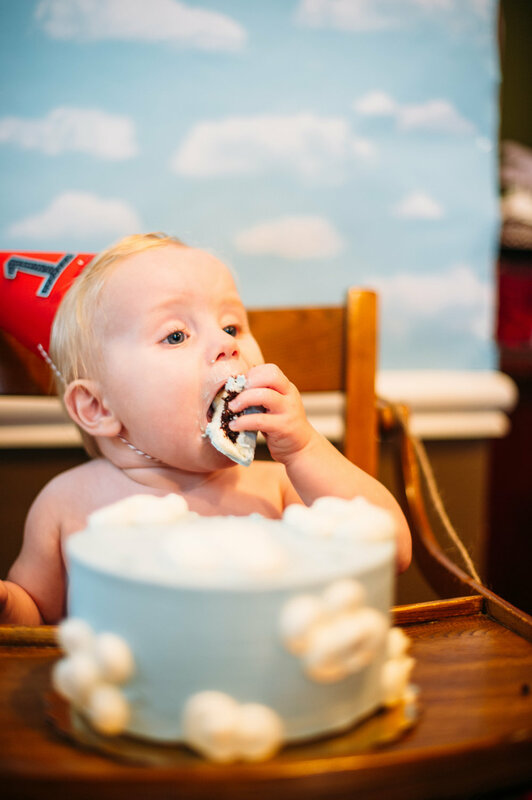 So without further ado, enjoy the beautiful, candid moments our dear friend Tonie from Tonie Christine Photography captured of Banyan digging into his birthday cake below. 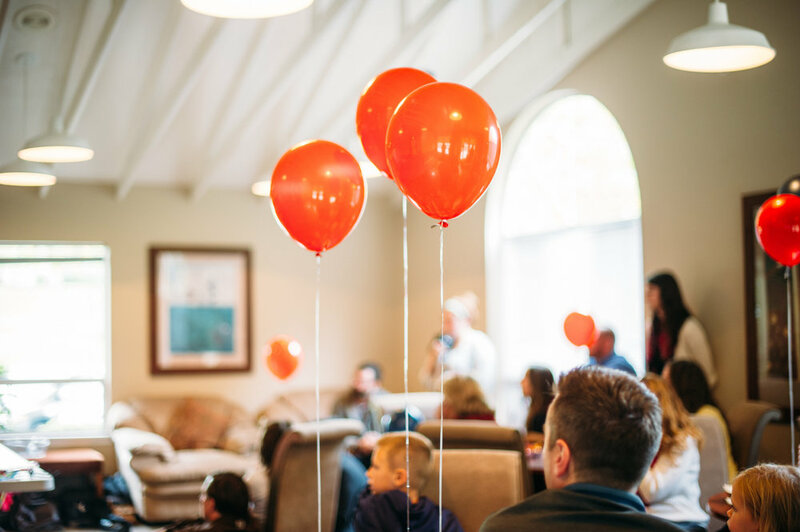 Then you can see the photos of our friends and family from the Photo Booth, and finally, you won't want to miss the amazing video Jaimie from Jaimie J Videography & Photography created that highlights the whole party -- from set up and gliders to pinata and cake. 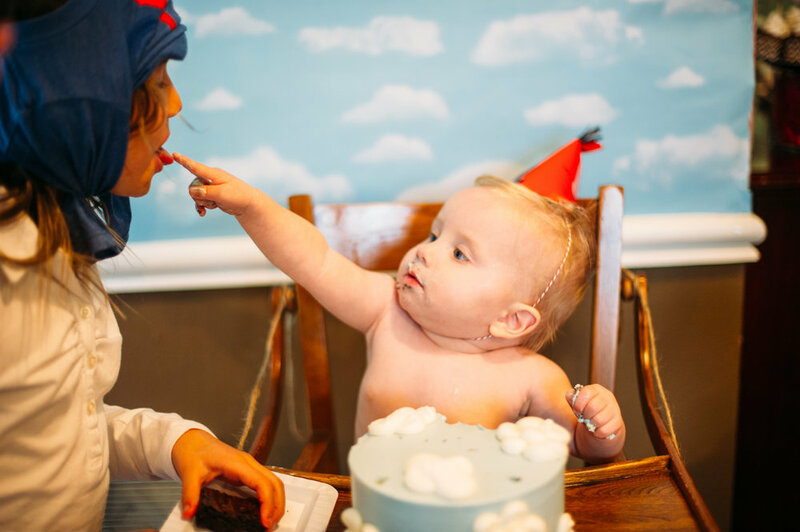 She got it all, and it's so sweet to see the love Banyan received that day! All we can say is: ENJOY! 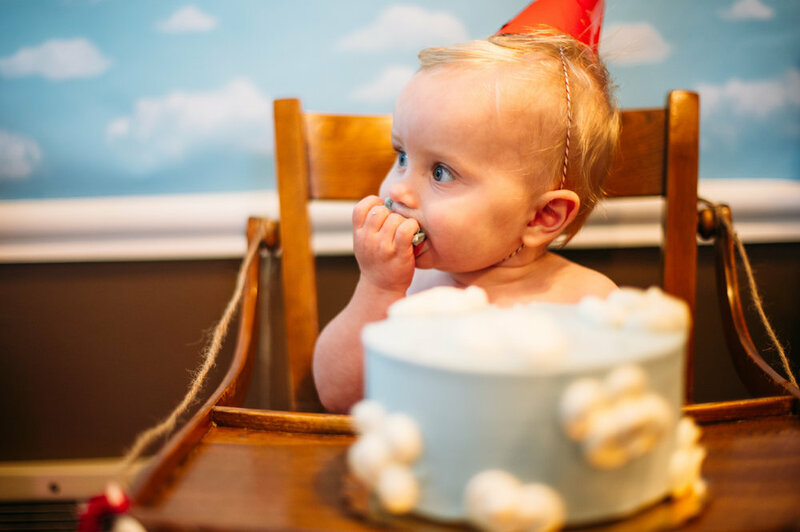 And finally, the sweetest birthday video you ever did see! 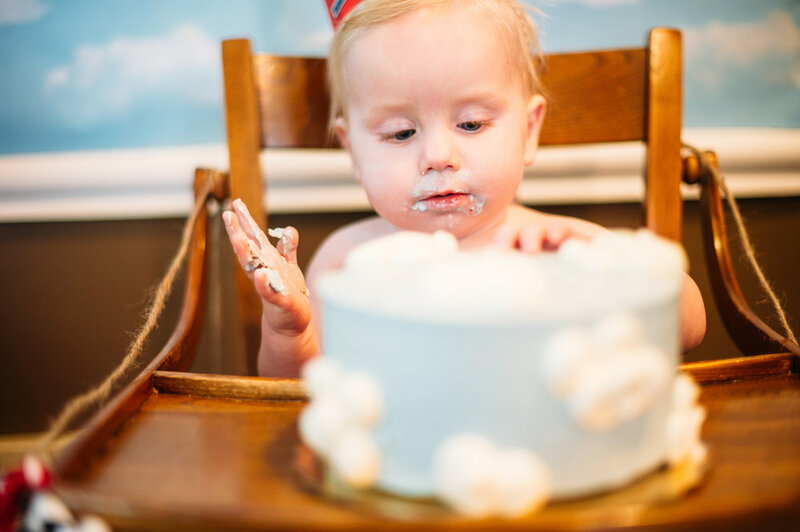 We've had so much fun getting to know Jaimie of Jaimie J Videography & Photography, and we are beyond grateful that she came out to capture all the love surrounding Banyan on his first birthday. 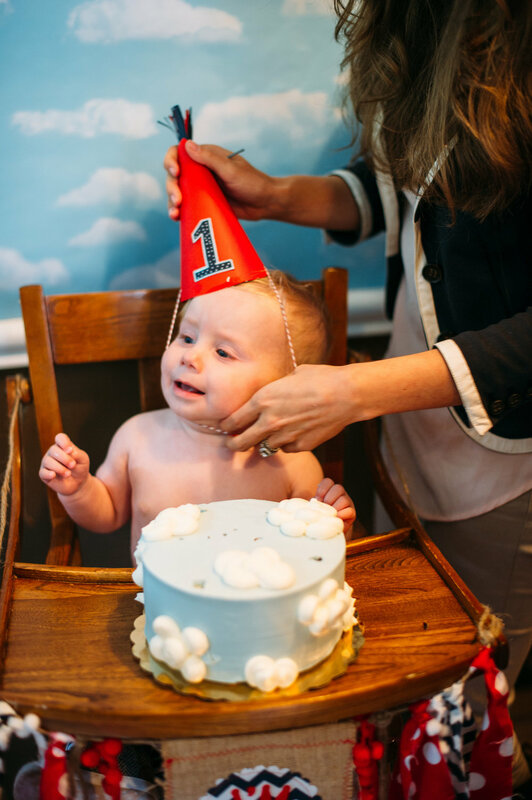 PRESS PLAY below to see all the sweet moments from the big day!